Federal Reserve officials at their meeting in March signaled greater confidence in the economy and little worry that U.S. tariffs would hurt economic growth. Fed officials appear to be convinced that tax cuts and the recent federal budget agreement would add to economic growth. Congress in February passed a spending bill that included larger increases in government outlays that Fed officials had expected at their January policy meeting, a move seen as adding to the fiscal stimulus created by the tax cut law passed in December. “Tax changes enacted late last year and the recent federal budget agreement, taken together, were expected to provide a significant boost to output over the next few years,” the minutes said. Fed officials also do not think the U.S. tariffs on steel and aluminum pose any serious threat to the economy or create additional inflationary pressures. Instead, officials worried that other countries might take retaliatory actions against the U.S. They noted that farmers were “feeling particularly vulnerable” to retaliation. Notably, the meeting took place soon after the Trump administration announced the new tariffs on the metals but before it promised to exempt many of our closest trading partners. So far, no countries apart from China have announced new tariffs or trade barriers in response to the metals tariffs. Fed officials also took note of the strengthening of the labor market and positive consumer spending activity as signs that economic growth would continue. “Participants generally saw the news on spending and the labor market over the past few quarters as being consistent with continued above-trend growth and a further strengthening in the labor markets,” the minutes said. Some Fed officials did not think our historically low levels of unemployment necessarily mean the U.S. is near full employment. They cited the fact that today’s workforce has a much higher level of education than the workforce of past periods with similarly low unemployment levels and that, on average, higher educated workers have lower levels of unemployment than those with less education. As a result, today’s economy may be able to sustain higher levels of unemployment, these officials said. As a result of the strengthening economy and labor market, Fed officials expected inflation would move up in the coming months. As well, they expect the economy to remain strong enough to support the Fed’s policy path of gradually raising interest rates. The Fed has raised its target range for overnight bank borrowing, known as the fed funds rate, six times since late 2015. At its March meeting, it raised the target to a range between 1.5 percent and 1.75 percent, a quarter of a percentage point higher than it was earlier in the year. Officials have forecast two more increases of the same size this year and three next year. 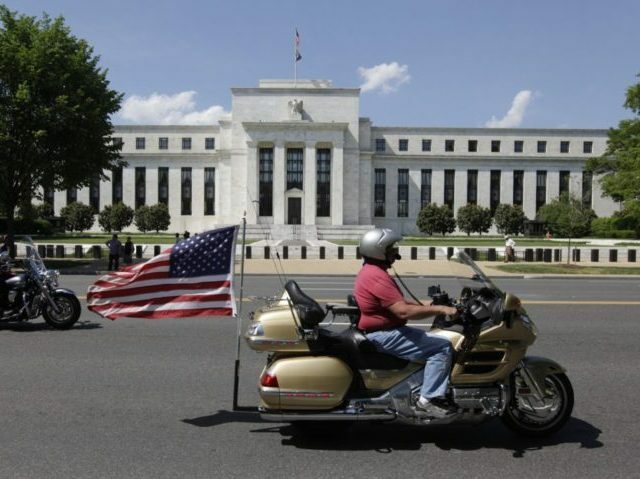 The market expects the Fed to raise its target in June and in September. Futures markets indicate around a 25 percent chance of a fourth hike in December. Members discussed changing the language that accompanies the Fed’s interest rate announcements. For several years, these have described the stance of monetary policy as “accommodative.” Officials discussed changing the description to “neutral or restraining.” The change would indicate that the Fed was no longer trying to boost growth but instead trying to let it run its course without monetary stimulus or even trying to hold growth back.